Hello Pierre! Thanks for taking the time off for the interview with us. How are things going? Currently everything is satisfactory. The response towards DOOMED remains good, there are some concerts and some are planned. We rehearse a set with a few new songs, hope it works good. Slowly but surely I begin to develop new material. I think in the future you will hear some more characteristic and independent sounds. In me it feels more and more destructive and provocative. I would like to convert this into my music. Maybe I’ll take leave of smooth song structures. Who knows. All in all, I will take more time for the new material. I hope Wretched Records (USA) are able to publish “Our Ruin Silhouettes” on vinyl towards the end of the year. That is currently the plan. Can you tell us a few things about the beginning of DOOMED? Why did you choose the name DOOMED for the band name ? Could you please share information about how did you start to create your project? I said in another interview regarding the band’s name: I simply like this word. Basically it says everything and it is also a cool “monosyllable”. Concerning the content it also applies the concept. Well, how I started DOOMED? After various trips to other music genres in me grew three things: First, I wanted to go back to my musical roots. Death Metal and Doom Metal of the old school and some classical vibes. I had enough of all this intel-lectual and progressive stuff i had made. Second: My feelings and my views changed. Third, I wanted to work completely autonomously. In all respects (except the tasks which a label makes, so promotion, sell and review stuff). Music, artwork, concerning the speed and approach and so on. These three things led to growth in me the idea of a One-Man Doom Death project. I tried a little. 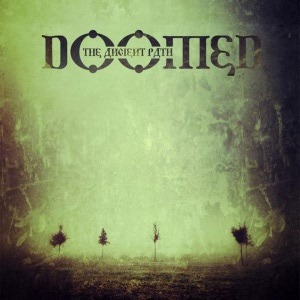 Then it was not long and I started to work on the first DOOMED album “The Ancient Path”. It was from the beginning the idea of an concept regarding color and a certain “parallel world” in which some characters are always present. The figure of the Sun Eater for example is one of them. There are few things more anchored conceptually. It is not difficult to discover them. Of course I made concrete ideas about how everything should sound, so what tools I use, what kind of sound they should have. I still work with this sound and these instruments. Ultimately I just let my mood run free. DOOMED was born. I felt good with it and the positive feedback gave me the incentive to keep going. That was in the fall of 2011. So not so long ago, what? Please, can you intruduce your last album? It’s amazing pack of seven songs. Really! The atmosphere of the new album is great too! Thank you! For me “Our Ruin Silhouettes” is a logical step after “In My Own Abyss”. The album is more varied, more dynamic and cares more about content. Each song has its very own character. This is increasingly important to me. I imagine that every song looks like a separate image. Every song should tell his own story. Every song should be distinctive. Nevertheless, everything takes place in one world. She reflects our own. My wrath does not come from nothingness, you know?! So all in all I’m doing this increasingly and deliberately at the expense of classical structures. This might sound like inhomogeneity. But this need not be so. So or so – DOOMED is no canned music. The album takes you on a journey. You can login to it and dive in. If you can‘t, don’t listen to DOOMED! What I’m trying generally is to preserve the style of Doomed. I want to realize a fundamental alteration of the music and the artwork. But I also want to dare and risk more. Especially on upcoming material you will notice this. How would you describe your music? What are the differences you see with your previous band? I feel wind of the old school death/doom metal and current sound… How would you describe the atmosphere of your songs? My songs are cast in musical thoughts and feelings. I said once that I see my songs as a painter see his pictures. Some musicians think so. But each of them has other content and ideas of what he want to trigger. Logically DOOMED songs are mostly dark, sometimes grotesque and aggressive but in some parts they have something seductive, yes beautiful. Brief moments of confidence. There is always something ominous and seemingly sweet moments dissolve very quickly back on. There is bitterness! With the Old School you are right. Sluggish Death meet some surreal arrangements or funeral elements. Occasionally I sprinkle some classic elements of romanticism or modernism. Then it has similar structures as in a small orchestra. Also, in some tonalities you can hear this. 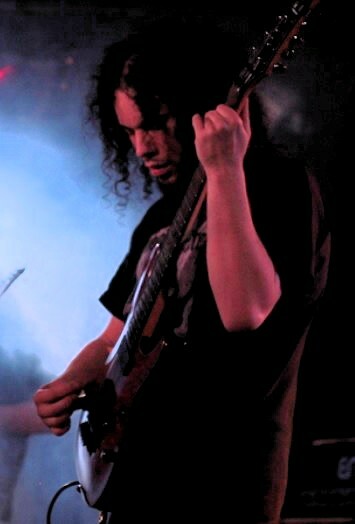 Representing this are, for example, some leads in songs like “The Ancient Path” or the slow lead part of “The Last Meal”. A further characteristic of DOOMED is that I often work very structured and in parts. I can not explain why this is so. But I have never been able to create good “clusters”. Bands like ESOTERIC therein masters. But I need contrast and love the clarity and the return of parts which I always try to put together skillfully. They should merge but I want to hear and feel them. The fact that everything is completely predictable, I exclude. I think to tell about all differences to my other bands and projects it simply take too long here. There have been very different styles. Everything took place in different places under different circumstances. The active influence of other musicians is probably the biggest difference. Because practical he does not exist at DOOMED (apart from the freedom of guest musicians). But instead I can say that you probably would recognize all of my solo stuff. Whether it’s the little classical composition, the piano piece or collections of ideas of my progressive days. All your albums are adorned with interesting artworks. 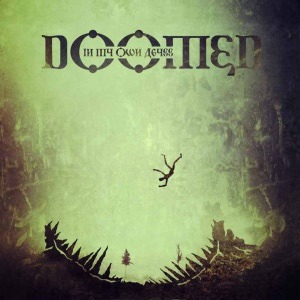 Covers of DOOMED are based on same based. It’s true? Exactly! Named concept. DOOMED albums as a venue. Recurring colors, silhouettes, sounds, characters. How important do you think are the lyrics to your project? Texts are increasingly important to me. On the first two albums “The Ancient Path” and “In My Own Abyss” most texts are minimalistic and with a lot of room for interpretation. More and more I begin to speak louder and unambiguous language. You can see that on “Our Ruin Silhouettes” and on the next album I’ll find some unmistakable words. Words that you can not interpret! DOOMED is your personal project. How about some of the advantages that you have, as a one man band? Have you thought of expanding the permanent line-up? Some of what I perceive as an advantage I just mentioned. At all times I can completely determine the pace in the creative process by myself. I have to ask anyone, I have to wait for anybody and discuss anything or vote. I can put all ideas of sound, feel and look one hundred percent as I imagine it. As before, a pleasant and very relaxing way of working. I have it in my hand how an album sounds and look. Right now I am not sure, but I do not think I’m going to expand the permanent line-up of DOOMED, which indeed includes only me. Definitely there still will be guests on vocals or instruments. But I think that simply would change too much, would I “open” DOOMED. Autumn is coming. Do you like this part of the year? 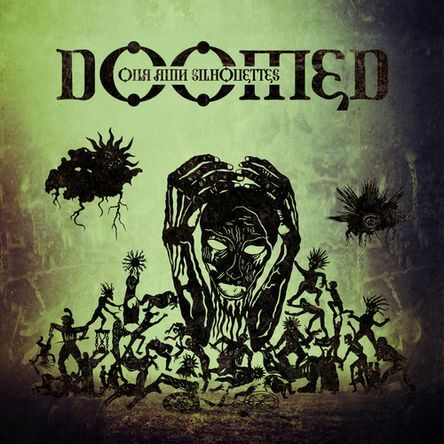 Which records of doom metal bands do you consider to be the most beautiful? Do you know some record from Czech republic? 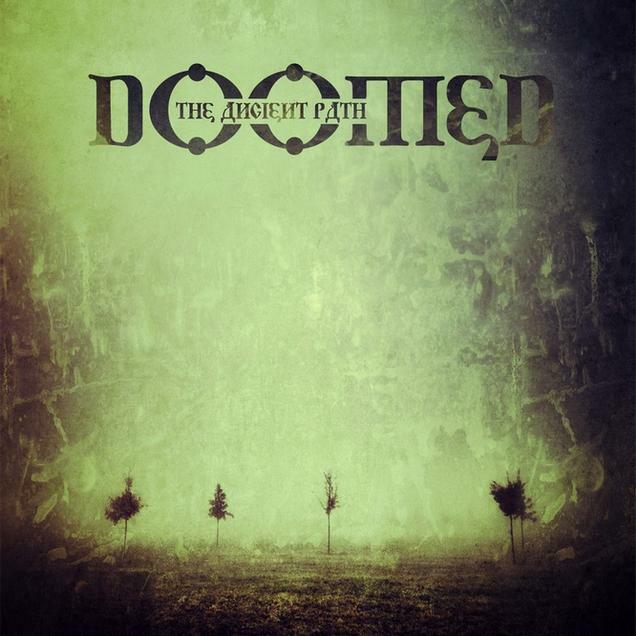 To me are some of the most magnificent Doom albums “The Silent Enigma” of ANATHEMA, “As The Flower Withers” of MY DYING BRIDE, Colosseums “Chapters” or the unsurpassed album “From These Wounds” of FUNERAL. Also KYPCK “Cherno” must not be forgotten. There are some more but these albus are killers! 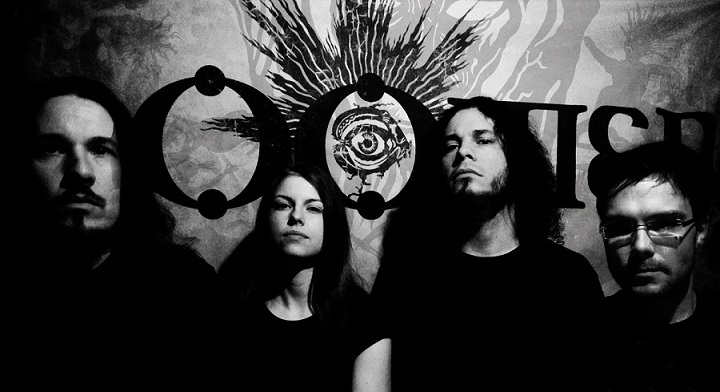 From Czech republic I only know SOMNUS AETERNUS (they are also on Solitude Productions). Really cool stuff. But hey, I’d appreciate some input. Do you prefer old german doom metal records? What do you think about careers of PYOGENESIS, CREMATORY, SLEEPING GODS etc. No, I definitely prefer not. The bands you mentioned, I’ve never really liked to hear. Their career? CREMATORY, for example, hm, well…a matter of taste aye? As for Germany, so then I like rather the old thrash bands like KREATOR and PROTECTOR or old Death Bands like the awesome MORGOTH. The latter I saw on the current BOLT THROWER tour. They were killer! I have to admit that I love German darkwave/gothic scene. Do you know names like a DIARY OF DREAMS, DIORAMA or BLUTENGEL? So, i have to admit that I’m hardly involved in this kind of music. There were times where I listened to DAS ICH and GOETHES ERBEN. Maybe some wacky stuff like LAIBACH or APHEX TWIN. But that’s not really my direction. I know many of the old names but actualy I don’t listen to them. What do you think about the underground metal scene nowadays? Well, I’m glad that there is still a underground. I mean this in the sense of independence in the way of working. The underground consists of people who do exactly what they want. Not what any damn industry wants. Those who can not dictate how something should be done, in principle, makes the underground. Some succeed to promote these things good, what is not so stupid and what can be definitely associated with the way underground. Stupid is it to make an album, press 30 pieces, have the worst sound of all time and then say that no one should hear it, because it is “too true”! But of course everyone can handle that as he wants! For me, the term underground has just something to do with independence, not with trying to hide something. I thank you for your questions! Just stay on the air, attend one of our concerts. A fourth album, there will be, but the timing is still completely open. I just keep going. We’ll see. I can not predict the future. I hope that it just goes straight ahead. That’s all for the moment! Take care too!